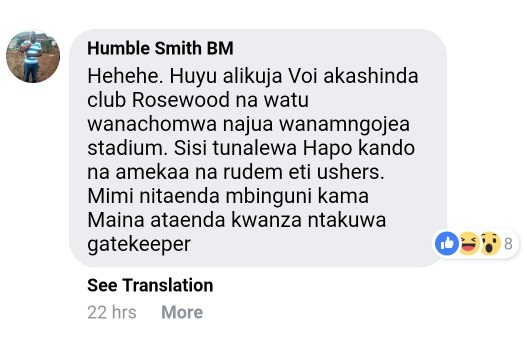 Home / Entertainment News, Featured Articles, Gossip and Drama / I saw Pastor JAMES NG’ANG’A at Club Rosewood in Voi enjoying himself as his followers waited for him in a nearby crusade. I saw Pastor JAMES NG’ANG’A at Club Rosewood in Voi enjoying himself as his followers waited for him in a nearby crusade. 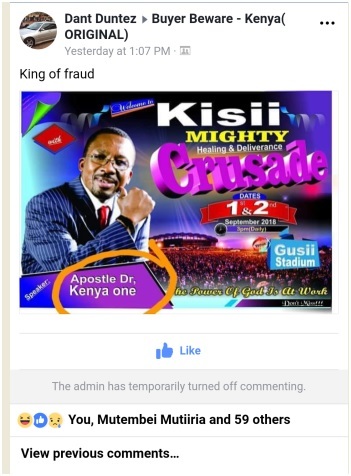 …the popular Buyer Beware Group after he shared a poster announcing his upcoming crusade in Kisii slated for September. i love the way SINNERS like to see for pastors. why dont u get saved yourself and show the 'rogue' pastor the way ?